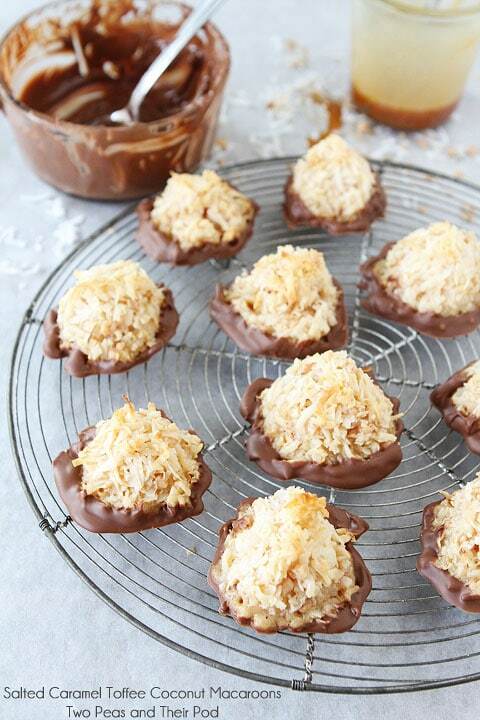 Chocolate dipped coconut macaroons with salted caramel and toffee. These macaroons are heavenly! Oh wow – I love toffee and I love macaroons, but I never would have dreamed of them together. What a fantastic idea! I bet the crunch from the toffee is great as well. I love macaroons and dipping them in caramel is pure genius! Yummy!! Oh my, they look pretty fantastic! I love the idea of toffee bits in these macaroons. Thanks for sharing! These must put the GS Cookie to shame! And I LOVED those…. Can’t wait to try these. Do you think I can just use the dulce de leche that’s hanging around in my fridge? So much fun!! I love that these are sitting on chocolate!! That just makes these perfect! Salted caramel makes the world go ’round. These are divine Maria! 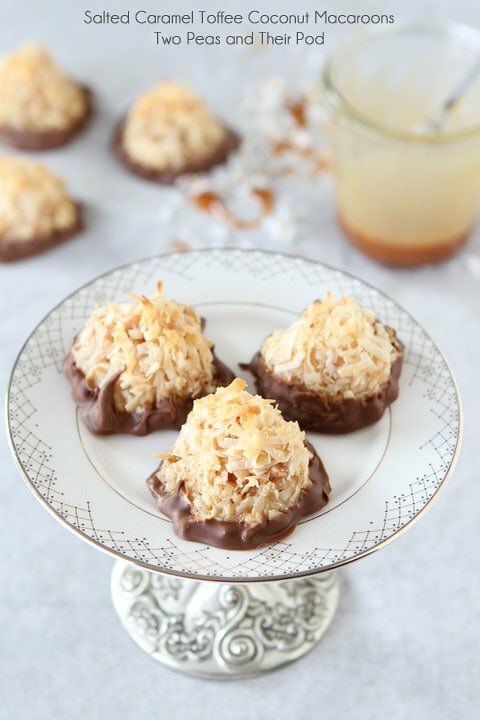 What a great idea to add salted caramel and toffee bits to macaroons! They look so good! Um, where have these been all MY life!???? totally amazing- macaroons are my fav and they just got majorly kicked up a notch! Drool. 🙂 These look like they might need to be made, in my kitchen, STAT! YUM! Oh my, these sound incredible! Whoa. Just…whoa. 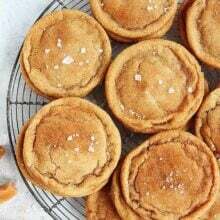 YOu know I need to find a way to make these sugar-free! Love that you added that touch of salt to these lovely macaroons! I’m not the biggest fan of plain macaroons but since they are covered in caramel these are a must try dessert. 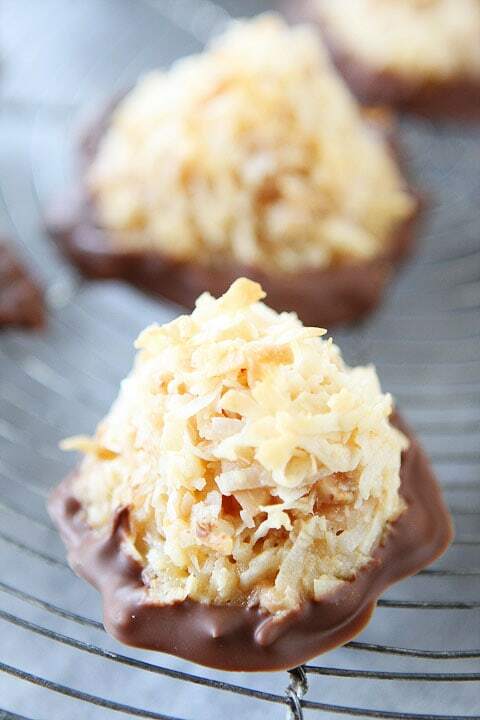 Salted coconut macaroons = crying for joy! These look and sound amazing. Swooning at the thought! Oh goodness! 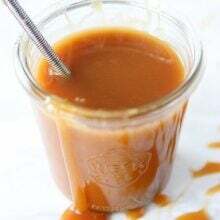 Definitely loving this salted caramel sauce week!!! Can macaroons get any better then this? Definitely not! LOVE these!! I love macaroons, these look so delish! I LOVE macaroons but I bet dipping them in chocolate makes them even better! These look sensational! 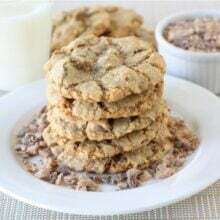 I’m crazy about coconut and your cookies look just incredible!! Love macaroons. Gotta try these. Whole Foods have some of the best macaroons I have tasted. Thanks for the great pics also. Can it please be Salted Caramel Week every week?? These look absolutely scrumptious! I’ve had salted caramel macaroons before and while they are awesome as it is, I bet that toffee really takes them over the top! Perfecto! Yum, I loved your traditional Coconut Macaroons but these are just magnificent with the salted caramel and toffee! Love! Pinned and can’t wait to try these out, Maria! Oh I totally love this. I am sooo going to make these this weekend! Just when I thought a chewy, sweet macaroon couldn’t get any better. Salted caramel is my weakness Maria! Looks so dreamy and delish! Yum! I love these…salted caramel is my weakness, too! Can’t wait to try. I make something pretty close to these and they are ALWAYS gone in like 10 seconds!!! Ugh…I’m drooling on my keyboard here! Just made these tonight and I did encounter some problems. Despite following the recipe to the T, I found that the macarrons tended to fall apart as I lifted them out after dipping in the chocolate. (and i did not dip in the chocolate until they had been cooled for 40 minutes) The recipe was easy to put together and I really like all the ingredients…I wonder if a sort of florentine cookie could be made of this recipe. They are tasty, but won’t win any beauty contests. Did you bake them long enough? Maybe they weren’t done all of the way? Ours dipped just fine and held together nicely. I loved these macaroons. But I had some trouble with the first batch. They spread a lot while baking and stuck to the parchment paper in some places. The second batch I used a silpat and they did not stick, but still spread. I found the secret to not making them spread by accident. I put some of uncooked “batter” in the fridge to use at a later time and scooping it with a tablespoon while cold eliminated the need to mold them into shape with my fingers and also keeps them from spreading while baking! So much easier and yields a prettier macaroon. I hope this helps! 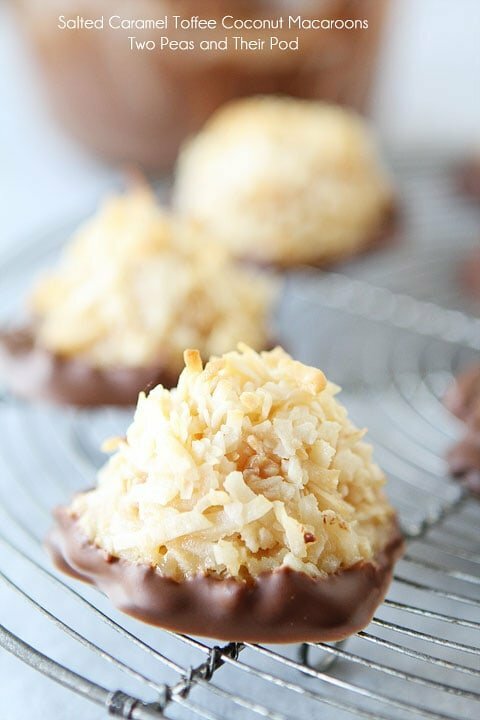 Pingback: Laura Thomas Author- Blog "Fabulous Fridays: COCONUT COMPULSION"
I made these and just blogged about them – mine didn’t come out as pretty as yours but they were still tasty. Thanks for sharing the recipe! Ok, So I just made these (without the chocolate so far). The taste is phenomenal but they are so gooey I can’t get them off the silpat or the batch I cooked on my stone! They are toasty brown on top, but gooey in the middle. So I let them sit longer to cool and now I can’t remove them! What did I do wrong? Anyone else having this problem? 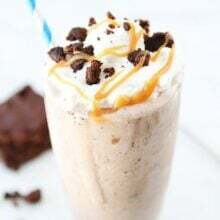 Pingback: 17 Indulgent Salted Caramel Recipes You Should Make Right Now - Do You Still Hate Me? Love this! Salted caramel and toffee macaroons! That sounds unbelievable! Sorry to be a wet blanket but I don’t like salted caramel. Can I make these with 2/3 cup condensed milk? I love the idea of dipping them in chocolate.